Cartronics can retrofit Speed Limit Information (SLI) into your BMW so you can maintain the legal speed limit with ease (BMW Option Code 8TH) This retrofit will display an image of the speed limit sign on your car's instrument cluster, just behind the the steering wheel. If you're interested in the BMW SLI retrofit for your vehicle, don't hesitate to get in touch with us to discuss options and prices. 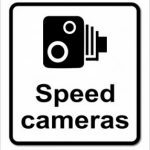 Why not check out our latest Speed Limit Information Case Study? Did you know that Cartronics provide other retrofit options for BMW, Audi, Bentley and Rolls Royce as well as other types of cars?